Evolution Gaming have performed a soft launch of a new live casino game, Live Caribbean Stud Poker. 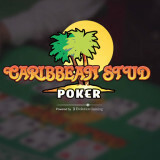 It’s based on the very popular Live Casino Hold’em game, but in Live Caribbean Stud Poker 5 cards are dealt to both the player and the dealer. The better hand of the two “wins”. 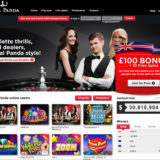 The game is a played on a one to many basis, whereby there is only one player hand dealt that an unlimited number of players can bet on. The game is played with one 52 card deck, that is changed after each hand for a freshly shuffled deck. 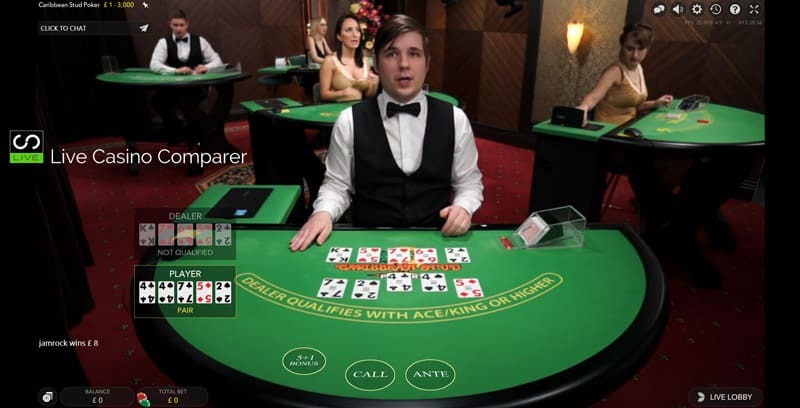 The player places an Ante bet and is then dealt 5 cards. The dealer takes 5 cards but only shows the first card. 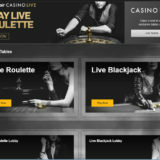 The player can then place an additional call bet or fold his hand. The dealer reveals his remaining 4 cards. The dealer “qualifies” with Ace / king or more in his hand. The poker hand with the higher value “wins”. I’ve had a trawl around the Evolution Live Casinos and William Hill are the only ones currently offering this game. Table limits are £1 – £3000. I can’t imagine it won’t be long before we see it at the other Evolution based casinos. This is an optional side bet made alongside the Ante bet, where the aim is to make the best 5 card poker hand from the dealer’s up card and the players 5 cards. 4 of a Kind pays 100:1. 3 of a Kind pays 7:1. 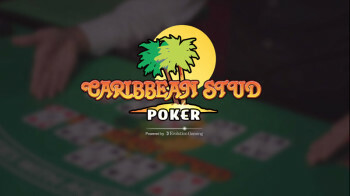 Live Caribbean poker has been around live casinos for a few years, but this is the first time we have seen one of the major software suppliers introduce this game. 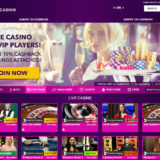 Both XproGaming and Vivo Gaming have a version of the game, but they have 5 player positions rather than one and the pay table offers slightly better odds.